FAMAS G2: I'm sorry for the terrible iron sights. Be sure to include the name of the gun/weapon, what mod you'd like it for (Rifle;SMG;Shotgun), and a GOOD base picture to base it off of. Your weapon could take a few hours, to a few days, to a few weeks. You'll just have to wait on my schedule. On a final note, my iron sights are bloody terrible, so don't expect anything not through a scope or like the ECS-11's zoom. Vrometheus ; Seen in another thread - low priority. asher418 ; Seen in another thread - low priority. Any specific attatchments you'd like? Normal Iron sights or Reticle sights? ZEKE GO LOOK AT MY PACK ON THE EX FORUM!!!!!!!!!! K!!! Dude look at the Komrade vs Mlg thead! 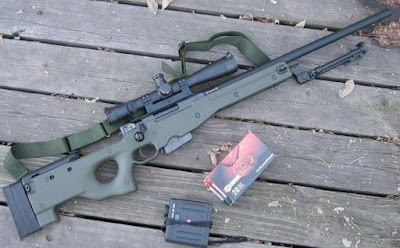 Also make a version with the bi pod please, then Ill add arms after. Also, can you try to make it with the scope so high that it looks like it is in Black Ops? Thatd be cool. I'll post my base model for yo soon. But other than that, looks nice! Not looking forward to iron sights though. Like to note that the bipod lines up nicely with blocks when crouching/standing up against cover. Nice guns, EliteXF7! They're really awesome so far. Also, if you'd like instruction about iron sights, I can help. But of course, by video. Haha, don't mind it at all! And are you trying to create the Black Ops version of the Famas, or the real FA-MAS? I'm basing it off the Famas G2, which I think is the Black Ops, mostly because of the built in Bipod. KillerRed where you been all day?! Also, I'm terrible at M4s, but I'll give it a try. @OP Your guns are awesome! Waffle, please refrain from advertising in my thread please.